Can we maintain personal piety amid the busy-ness of Christian leadership? Reaching the lost, upholding God’s standards. Mysticism, pragmatism and the power of God. Upholding God’s standards, forgetting our rights. Child evangelism: the challenge, the dangers. Alex MacDougall: Former Pastor of Trinity Baptist Church, Gloucester. Stephen Rees Pastor: Grace Baptist Church, Stockport. Gareth Williams: Pastor Bala Evangelical Church. Tony Flanders: Full Time Elder, Trinity Grace Church, Ramsbottom. Allan White: Former pastor of Jireh Baptist Church, Wigan. 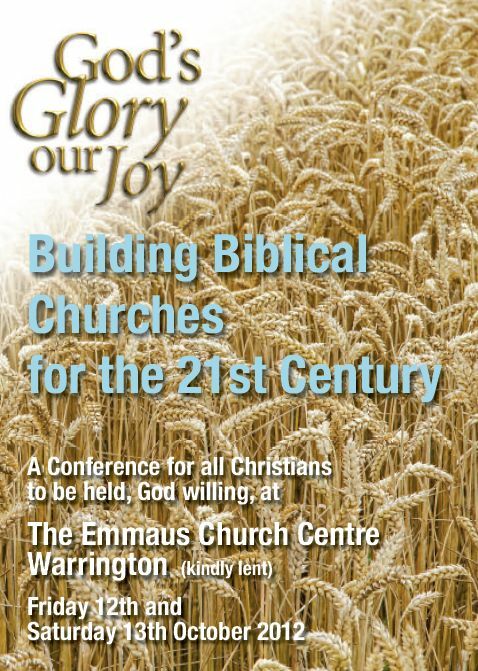 I have followed this series of conferences with prayerful interest. I trust the Lord will bless this year’s above all the others. Remember Cambodia, where churches are a long way from the ideals that we hold dear, and rejoice in all He has done for us, that we might help them too. Blessings, David.